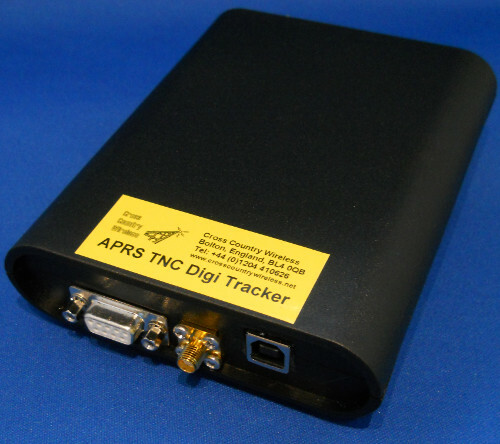 APRS – What are my options? So far, in this special interest area we’ve talked about putting together inexpensive APRS setups in order to keep the barriers to entry low. In this page, we’ll compare many of the commercial options available. Brace yourself. Some of these solutions can be quite pricey. 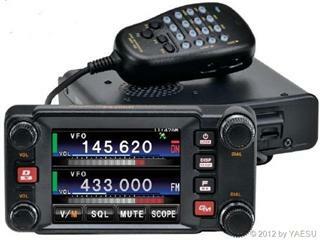 Yaesu has introduced some interesting APRS rigs in its System Fusion line. These are true dual receive rigs with the added bonus of being able to take part in the new digital modes over System Fusion repeaters. There are some cool features on these rigs that you won’t find elsewhere. 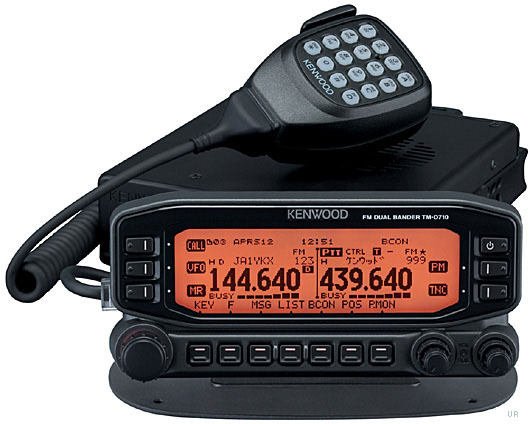 Like the Kenwood below, you can dedicate one side to voice and one side to APRS. Additionally, the rigs can communicate who you are and where you’re at outside of APRS so others in the area with System Fusion radio will know if you’re monitoring and if you’re in range. Don’t worry about being able to only talk to System Fusion rigs, though. All System Fusion radios detect if the other station is analogue or digital and adjusts accordingly. In other words, it’s fully backwards compatible. This original version of this radio is what’s currently in my car. I picked it over the Kenwood TM-710 because it was about $100 less. 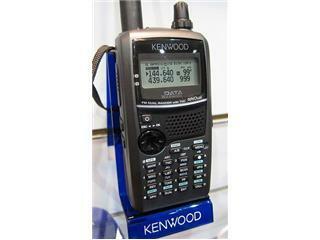 Since then, the price of the Yaesu has gone up and the Kenwood has come down and they are roughly the same price, at the moment. So, how do you choose? If you want a user accessible TNC for things like Winlink packet mode or you want to setup a digipeater for special events from your car, go with the Kenwood. If you don’t need to access the TNC and would prefer a color touchscreen with System Fusion, go with the Yaesu. If they hadn’t locked out the TNC to the user and added maps that show the position of other APRS stations, this would be a phenomenal radio. I have made several videos based on this radio. Here is one that shows how you can hook a windows laptop up to it to automatically plot APRS objects. System Fusion capable, dual VFO, APRS HT. Once again, the TNC is not user accessible. To many, this is considered the Cadillac of APRS mobile rigs. It features a built in TNC and GPS. It will allow you to message users back and forth, provide direction finding capabilities to beaconing stations, digipeat, and features built in Echolink functionality as a bonus. The great thing about an integrated unit like this is it broadcasts your current frequency automatically so people will know how to reach you because APRS is supposed to be about two way communications. You see this with the newer Yaesu radios, too. This is a solid radio and I’m glad to see that it has come down in price nearly $100 since I first built this page a few years ago. I have since picked up one used and I keep it in a Go Kit for Winlink Packet and special event APRS. This handheld transceiver has a built in GPS and TNC. It can be used to control a Kenwood TS-2000 through Skycommand. 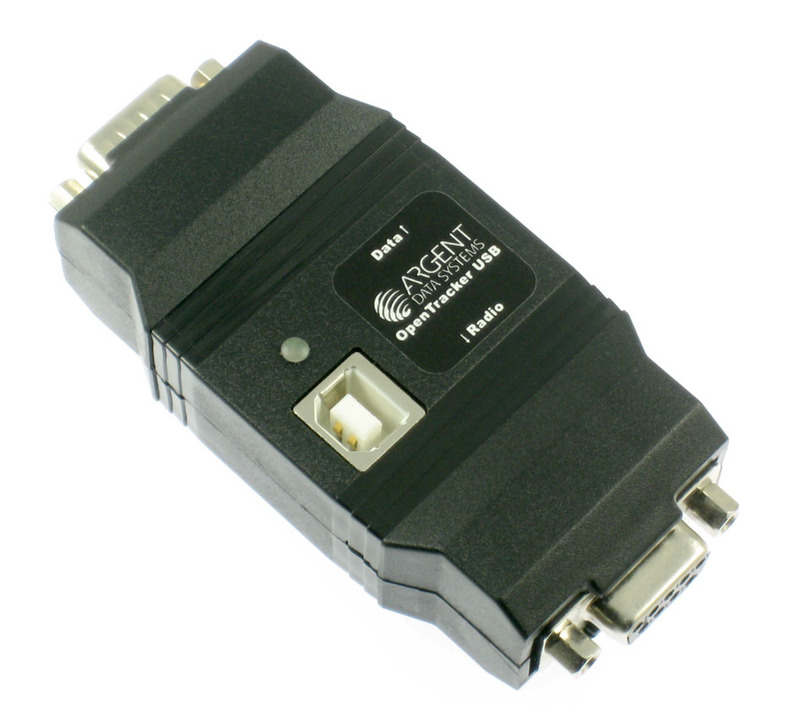 It is a stand alone digipeater and can function as an IGate, too. Since the TNC is user accessible, you can use it for Winlink packet. 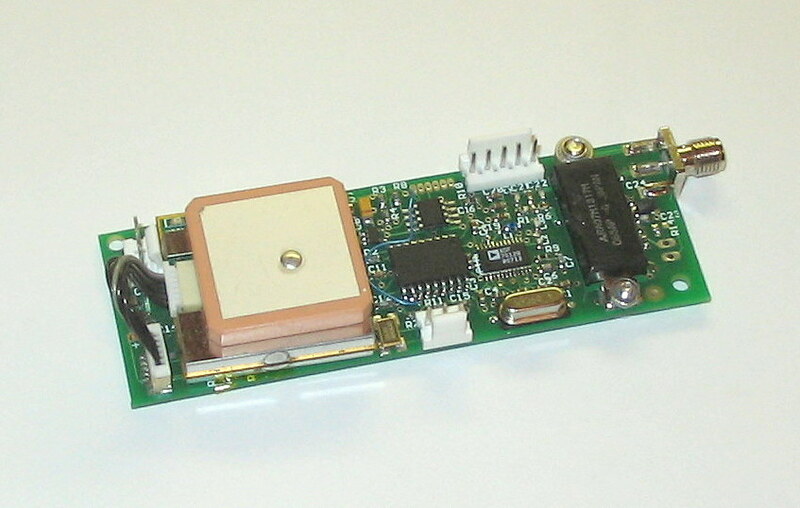 This is a dedicated TNC workhorse and is very popular in packet radio and as a dedicated digipeater. It has several features that you won’t find in another solution. It is a low power device and can run off of a 9V battery if needed. It also allows for remote configuration… great for a hilltop digipeater. However, it is getting long in tooth and isn’t exactly web ready. 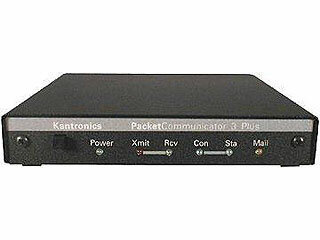 Imagine if the Kantronics had been built to plug into the Internet for remote management and easier IGate usage. That’s the Microsat, in a nutshell. For me, this is a definate buy. Particularly if you already own a smart phone or tablet. I’ve written an entire article on Mobilinkd here. Connect this device to a laptop via USB and and you’ve got a full feature APRS setup. What you’re buying here is a GPS, TNC, and Bluetooth adapter all in one box. Flip a switch and it’s a standalone digipeater or igate. 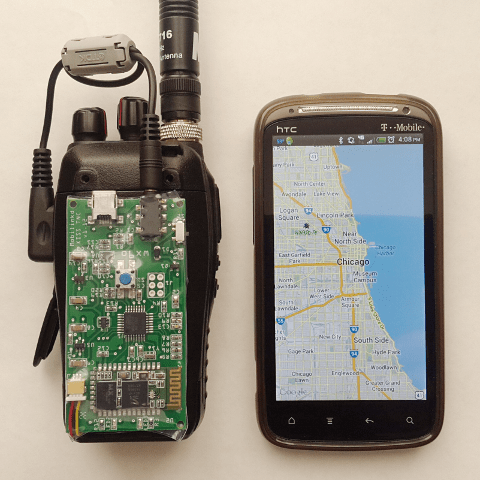 With the current Bluetooth version, you can see others and text using a free Android app or connect it to a computer to use a more full featured APRS program. 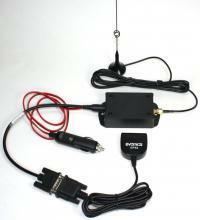 Want to use an external GPS antenna for better reception? This device features an SMA connection to accommodate that need. It also comes with a 6 pin MiniDIN data cable for Yaesu/Kenwood/Icom radios. TinyTrak4 Price: $75 w/o GPS, $140 w/ GPS. Subtract $10 for the kit version. Type: Tracker, unless connected to a computer or optional display/keyboard. The TinyTrak series was one of the most popular on the road. Small and purpose built, the latest TinyTrak can double as a TNC for your Winlink or any other packet needs. It’s also the cheapest digipeater solution that I know of. If it’s hooked up to a compatible GPS, it can display the locations of other stations. As stated above, this is a simple tracker unless it is connected to a computer or a separate display ($45) and keyboard adapter ($24) is added. As time goes by, I think you will see less of these as people move to dual VFO radios with APRS onboard. 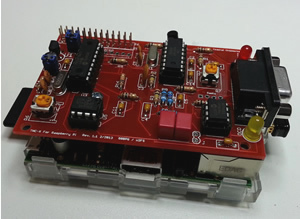 TNC Pi is a TNC add-on for the low power, low cost Linux system known as Raspberry Pi. Running Linux, it can support the APRS program Xastir. Add $35 more dollars and you could add a small touchscreen to the device from Adafruit. This is a small tracker in the vein of a TinyTrak. Add a radio and you have a tracker. Add a computer and you have two way communications and situational awareness. As a side note, if you’re just looking for a tracker to tie to a computer, consider going the virtual TNC route. Dire Wolf, for example. Think WINMOR for APRS. Micro-Trak Price: $220 Type: Frequency agile all in one vehicle tracker. If all I wanted to do was have tracking on my vehicle, I didn’t want to build anything, and I wasn’t looking to communicate with others, I might consider this option. For the price, you get everything you need (mag mount antenna, cigarette lighter power adapter, dedicated transmitter, GPS, etc) to wire your car up for 10W APRS. Micro-Trak AIO Price: $260 Type: Frequency agile, AA powered all in one tracker. Running 8 days in a Pelican case, this all in one tracker would be ideal for backpacking (if you weren’t looking for two way communications) or tracking something unmanned like a balloon. BigRedBee Price: $265 Type: Frequency agile, AA powered all in one tracker. This setup does not include an antenna or case. It runs off of 6 AA batteries and an internal memory stores tracks for later downloads. The killer app for a setup such as this appears to be balloon or rocket flight. This is not an all inclusive list, but it’s a solid start. Click here to return to the WCARES APRS Special Interest page. This page was created March 30, 2014 and last updated February 16, 2018.